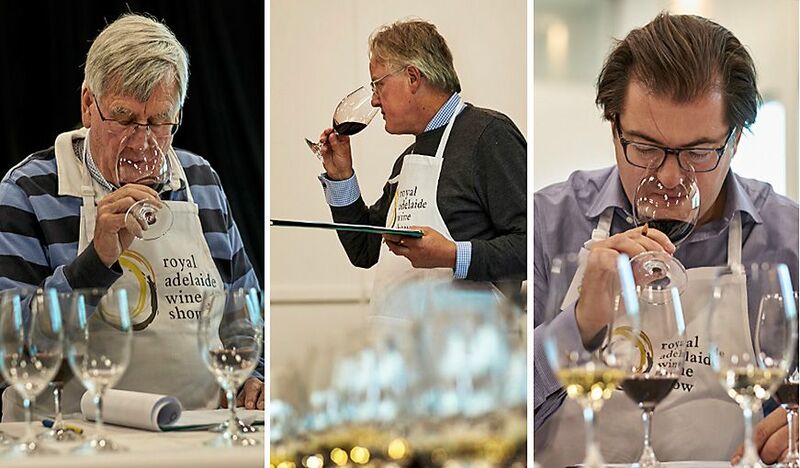 You are the Chairman of Judges at the Royal Adelaide Wine Show this year. Your association with South Australia goes back to the early 80’s when you were a student at Roseworthy. Is there still a connection to SA ? I was at Roseworthy from 1979 to ‘81, I did my first vintage in 1981 in Coonawarra with Mildara. I still have a lot of friends here, but it’s the wine show that keeps me coming back… which I am delighted about. I started judging here in 2000. 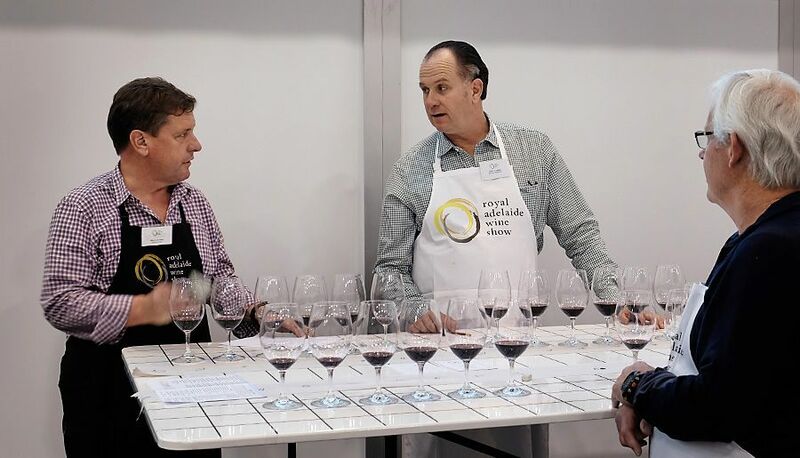 Brian Walsh was the chairman of the wine show committee, James Halliday was the Chair of Judges . We had 2650 wines then with four panels. This year there were over 2,700 wines, but we have six panels. Sue Hodder took over as Chair of Judges in 2012, she asked me to be deputy chair. The capital city wine shows are all very big. Adelaide is always recognised as one of the major shows. It’s certainly the best show I’ve ever judged in, and I’ve judged a few. The Committee and the back room do a great job here, and the quality of judging panels is second to none. 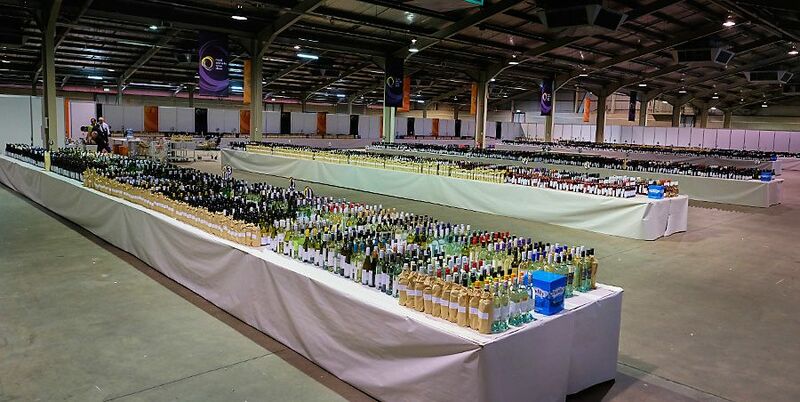 How many wines were judged here at the Adelaide Show this year ? To be exact 2,771. 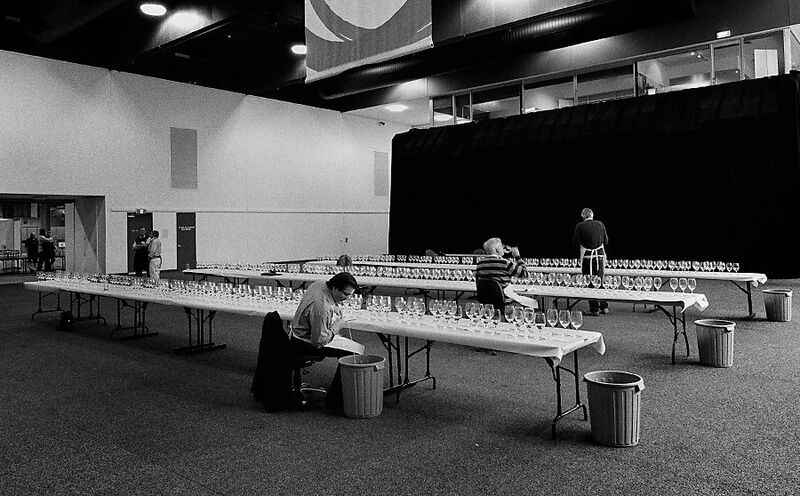 Each panel of 6 judges judged about 130 wines per full day. One hundred and thirty wines is considerably less than the 180 a day that used to be the norm when I started judging here. I even remember a 220 wine day once at the Perth Show, but that was years ago. What varieties are the strongest this year ? There are many that impress. Riesling never fails to be superb at Adelaide, both in the fresh young current vintage examples, and in the older bottle-matured styles. Chardonnay just gets better and better, and this year the 2013 vintage stood out for me. Very good flavours with lots of complexity. Semillon is one of the unique icons of Australian wine, but for me it’s when you get 8-10 years of bottle age that it really sings. Shiraz is the biggest varietal category and also one of the most important from a quality and stylistic point of view. 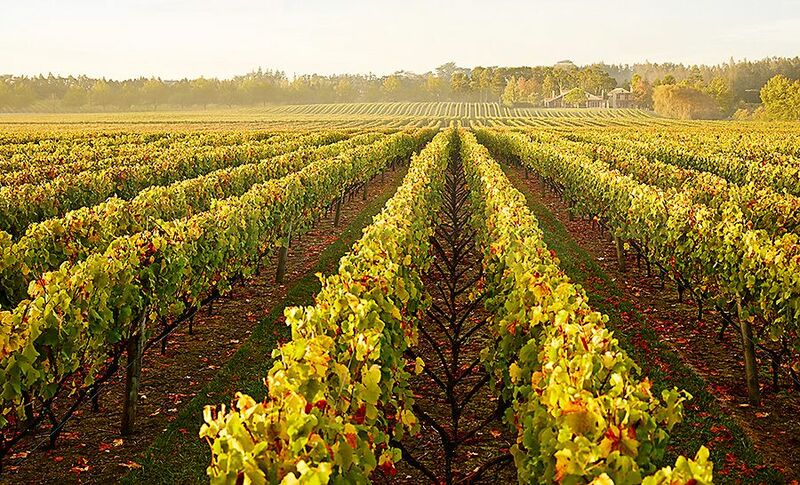 It is grown in just about every viticultural region in Australia, and the best examples are wonderful. The 2013 array of gold medals is stellar, with the silvers very close indeed. A variety that sometimes gets overlooked, especially in the marketplace, is Cabernet Sauvignon. As a class of its own, and also in concert with Shiraz and other varieties in the blended classes, Cabernet produces arguably the best red wines in Australia. Grenache is on the rise, with some more elegant styles now competing with the bigger, more luscious wines. Together with Mataro (Mouvedre), Tempranillo, Sangiovese, Touriga and some other Southern European varieties there are some really interesting new wines appearing. Steve Pannell seems to be leading that charge, along with Chester Osborn and a few others. The 2014 class of Pinot Noir was very impressive, much more so that the 2013s. Cooler climate areas, and in particular Tasmania, performed well. The sweet wines are excellent, both in the Late Harvest and Botrytised categories. The best of the sparkling wines, especially those with long tirage, were exceptional. Tasmania always shows up at the top of this class. 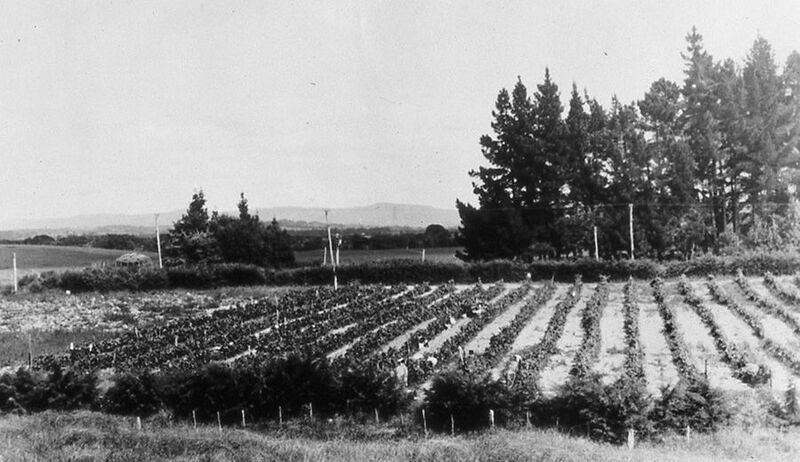 Kumeu River Wines was established in 1944. That must have been one of NZ’s first wineries. It’s still a family business. What’s the history to the winery, and how does it work today ? Kumeu River was certainly early but it wasn’t one of the first. There were quite a few earlier than us. 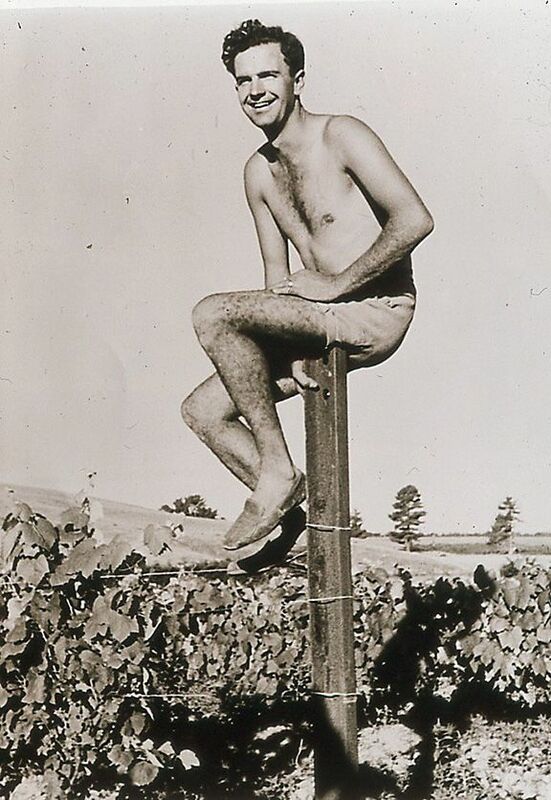 When we started in 1944, the property had been growing grapes and making wine for a while. We were actually the third Dalmatian family to own the land. Dalmatia is the coastal part of Croatia. I was born in New Zealand but still have family links back in Croatia. My father’s first cousin is still there, he looks after a little property we have there. It’s nice to go back but I can see why they left, it’s very tough terrain. They used to grow vines and make wine in our area, but there’s none left: there’s no one to work it. Plenty of olives there though. It’s all tourism now. 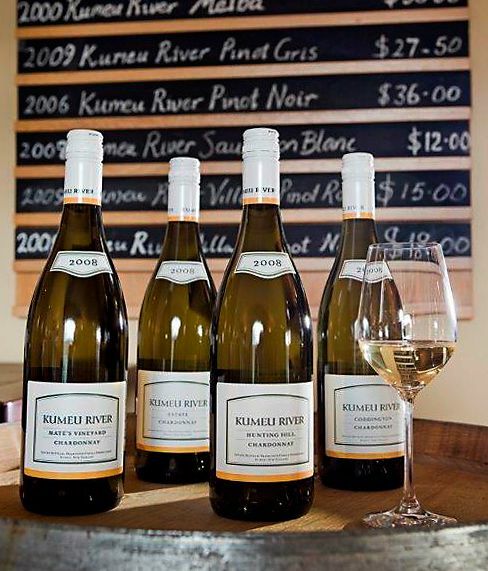 The “Wine Spectator” magazine has placed Kumeu River Chardonnay in its annual list of the top 100 wines on five occasions. In 1996, the Kumeu River Chardonnay 1994 was ranked at Number 6. How much International travel do you now do ? I do a lot of travel, an awful lot of travel. However I’m very fortunate that I work with my two brothers and sister and we spread the load. We do lots of tastings in places like New York, Hong Kong and London to support our markets there. We have been involved with the ‘Wine Spectator’ for a very long time with their ‘Wine Experience’ events. These are great events. The first time we were invited was in 1993. In those days it was held every two years but now it’s every year, so it’s quite a commitment, but they organise it beautifully. Just a few weeks ago I was invited to the ‘Texsom’ Sommelier’s Conference in Dallas, Texas. It’s been going for 15 years and was also a great event. We were invited as an Icon Winery to show eight back vintages of our Mate’s Vineyard Chardonnay. The Mate’s lineup went down very well; as they were all sealed under Stelvin, it was very telling and demonstrated the ageing really well. We were getting really good bottle age showing up, but with good vintage variation as well. The screw cap helped to show the ability for the wine to age and get better in the bottle. From a sales point of view, the ‘Texson’ conference got me thinking. We are now targeting Texas. It’s potentially a big market for us as there are many collectors and wine lovers there. People who really know their White Burgundies. They taste our wine, and go wow, this is good and at a fraction of the price of a White Burgundy – we can drink this every day ! 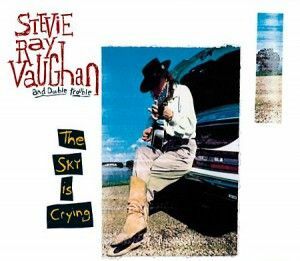 Stevie Ray Vaughan : Double Trouble album. The reaction has been really good so I’ll definitely be back there before too long. I also really want to get to Austin. I’ve heard the restaurant and music scene there is fantastic, and I love music. Thirty years ago in a pub in Auckland I heard one of the best concerts ever by two of the original ‘The Flatlanders’, an American country band from Texas formed by Jimmie Dale Gilmore, Butch Hancock, and Joe Ely in the early 70’s. I just saw Jimmie Dale Gilmore again 30 years later, he came out to NZ for a concert just recently. He lives near Austin, music must be good there. I listen to Stevie Ray Vaughan a lot and I believe he’s from there as well. My twelve year old son Markus is a big SRV fan as well: he wants a Fender Stratocaster just like Stevie Ray’s. 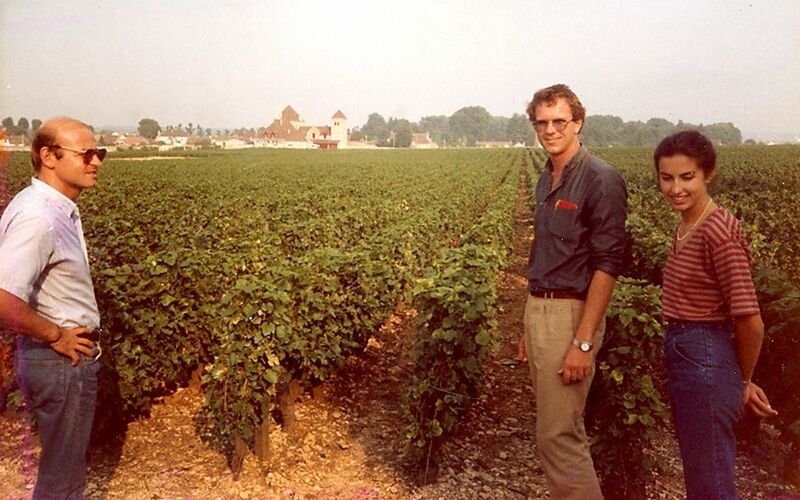 You spent the 1983 vintage in France with the reputed house of Jean Pierre Moueix in Libourne, near Bordeaux. How did that influence the wines you were making at Kumeu River in New Zealand. Looking back what influence did that have and has the style of wine you make changed ? And if so how ? 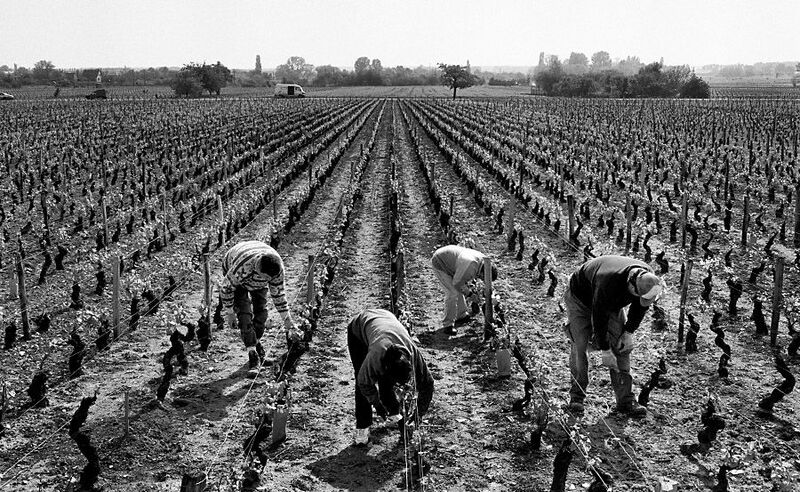 I got a chance to work in Bordeaux in ‘83. It was fortuitous because we had just bought a new vineyard from Corban’s Wines with a whole lot of Merlot on it. I spoke with Jean-Claude Berrouet, the Moueix oenologist, and I got a job there which was just fantastic. It was a great experience turning those grapes into wine. Funnily enough I learned how to make red wine while there, but the wine I’m now making is mostly Chardonnay. Most importantly, it was the first time I’d worked with wild yeast. When I came home in 1984, we started to use wild yeast with the Merlot. Encouraged by that, we used it with our white wines in 1986. I absorbed a lot of knowledge in Burgundy and my time visiting there did influence how we are making wine now. I learnt so much from the French. 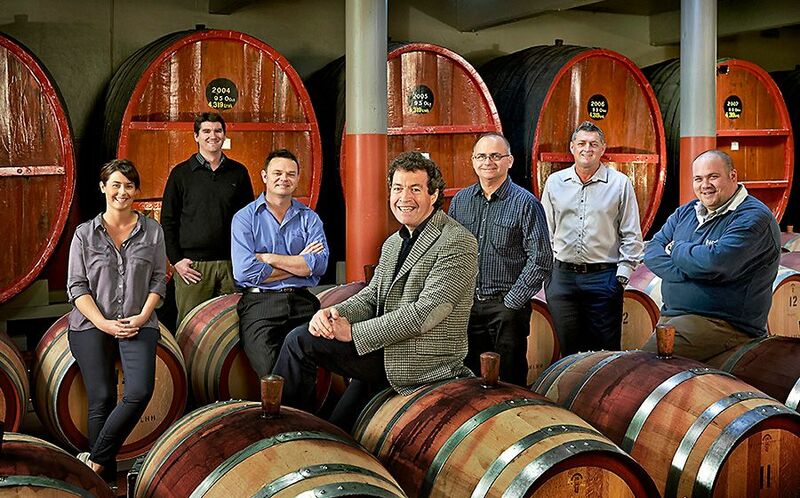 A few years ago in both Australia and New Zealand we would try to make the blockbuster wines. Ones that stood out in the glass in a lineup of wines. They had to have certain things and be rounded and rich. Sulphides were frowned upon, so anything that showed any kind of feral stink got marked down in shows. I think the change came when we started drinking more French Burgundy. And we really got intrigued by the quality, impressed by the minerality, the acid balance and the general refreshing quality. That’s the big difference between a really good cool climate table wine in Europe. It’s all about being a table wine and going with food. Firm acidity and a crisp finish is very important in that regard. Whereas in New Zealand, Australia and California, we tended to be making wine you would drink at any occasion, like standing up in a bar, so it needed to be easy, soft, sometimes a little sweet; they were meant not to go with food. Once you get into the table wine category it needs to be refreshing not tiring. Those big soft buttery Chardonnays were tiring. You couldn’t have more than one glass before you’d just about fall asleep. That point was hammered home to me at a conference in Marlborough put on by the New Zealand Society of Viticulture and Oenology. The keynote speaker was Brian Croser. He gave an excellent presentation about how he believed Chardonnay needed to be grown on a cooler climate site, but that you needed to achieve optimal ripeness on that site to get the best results. 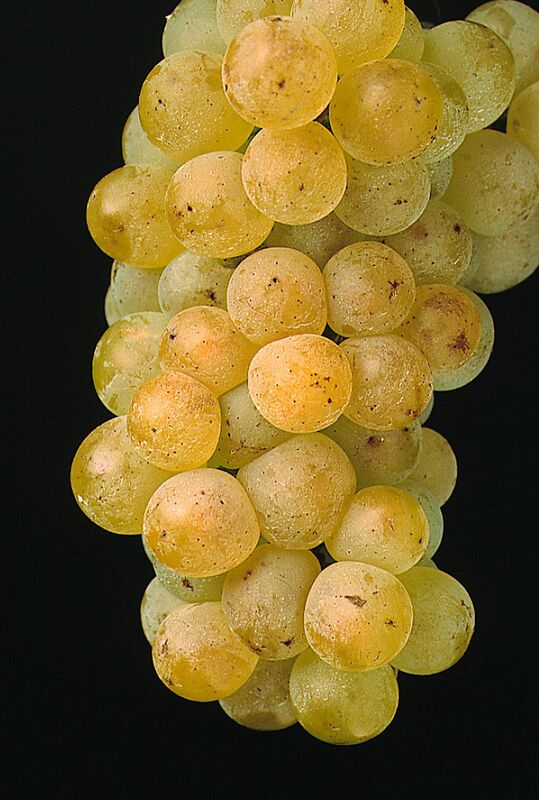 Like most of the early Aussie Chardonnays some of the early Petalumas were a bit big and buttery. But the recent Tiers, both Petaluma and Brian’s new label Tapanappa, are fantastic wines. 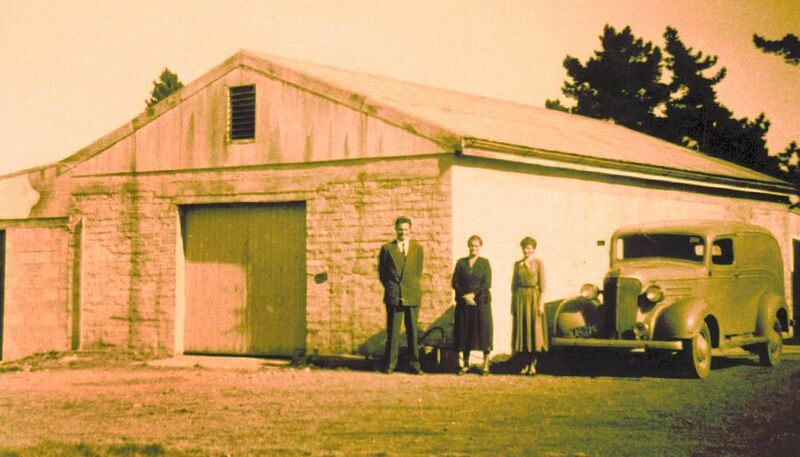 They, like us at Kumeu River, have gone through a lot of evolution. We started out with much bigger and rounder wines but as we learnt more the style has evolved. We now know more about Chardonnay vineyards and on how to make wine from that fruit. In the early 80s we went into barrel fermentation, rather than fermenting in stainless steel and ageing in barrels. The interaction of juice, yeast and barrel is more gentle and refined, and produces wines that are more integrated, with less overt oakiness. 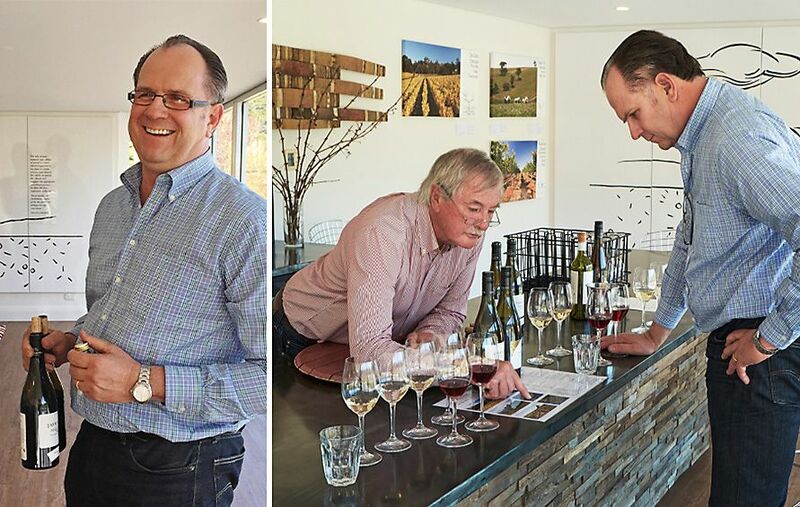 At the Marlborough workshop, Brian brought along a number of wines including some that James Halliday had suggested. They included some of the new wave Chardonnay styles coined ‘Mod Oz’ or “New Gen”. Some were very sulphidic. It caused quite a lot of discussion. Our Kumeu River Chardonnays have always had a mild element of this character, and that comes about by including grape solids in the barrel fermentation. The price of some French Wine ? Some of the French wine is getting very expensive, but that’s the way of the world. At the top end in Burgundy and Bordeaux, they can still sell just about everything at the high price. I know they are concerned that they are alienating a whole generation of wine-lovers, who would love to be able to taste these wines, but are being priced out of the market. That’s not good for the long-term; because those people who can afford it won’t be around forever. It’s not sustainable. I think they do worry about it. The high prices started appearing in the early 80s. The secondary and tertiary markets were so strong. Investors were buying good wine and selling it in a couple of years and making two to three hundred percent on it. The producers cottoned on to what was happening and are now making some of the money themselves. That’s okay, but I don’t think it’s sustainable long term. 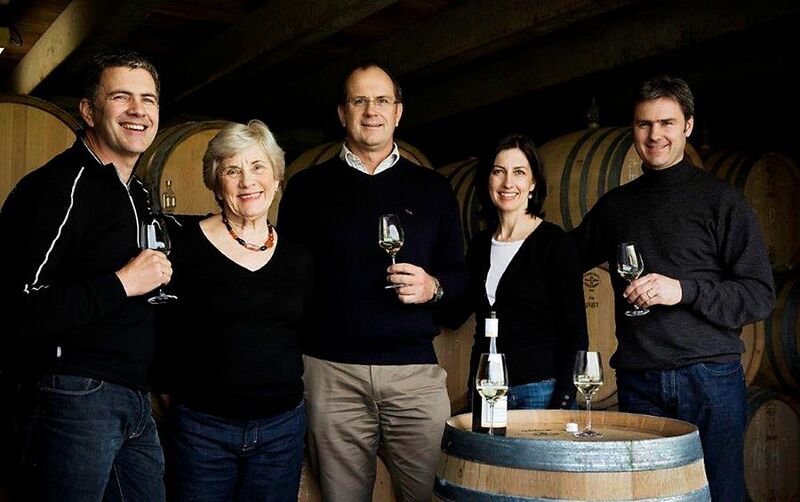 How do you see the style of modern Chardonnay in New Zealand, here in Australia and in France ? Chardonnay in Australia has never been better. It’s taken a long time, but the variety has adapted here very well to a wide range of climatic conditions. In France it’s where it’s colder, like Champagne, Chablis and Burgundy. But it’s doing very well in warmer areas, like Australia and California. In Australia early on it was planted in areas that were too warm, then they picked it too ripe. There wasn’t a lot of character in the early wines. You can’t get the same character or balance by harvesting earlier in a warmer climate. You need to be in a cooler area and get them fully ripe. Early on the use of oak was very prevalent and still is I suppose, but they are using much less now. Malolactic fermentation became all the rage, I don’t think they did it very well in this environment. 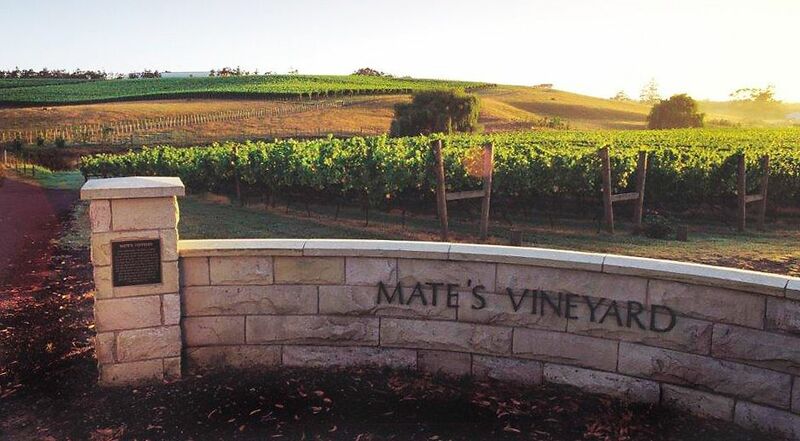 For us in the cooler regions of New Zealand malolactic is a de-acidification tool, but here in Australia it was introduced more to help get the buttery nose. So you ended up with these very oakey, very buttery, very big high alcohol wines. The kind of white wines we thought red wine drinkers preferred in those days. There are still people who like them, but we’re understanding it all much better now. To a large degree the local wine fraternity have moved away from that style, , but the success at this Show of wines like Tyrrell’s Vat 47 shows that well balanced warmer styles are still being appreciated. We know there is something better, and that has always been the White Burgundy model: grown in a cool climate, using the malo to help de-acidify the wine. The wine does not remain buttery because it’s kept a long time on yeast, and by ageing for a long time on yeast you remove the diacetyl that causes the ‘butteriness’. You get the balance right. It’s a matter of having a good site in a cool area. We often pick a mixture of slightly green fruit and some overripe fruit from the same vineyard. It’s not about having all the fruit the same -having a bit of diversity in the fruit is usually a good thing . The best sites always show up the best wine. 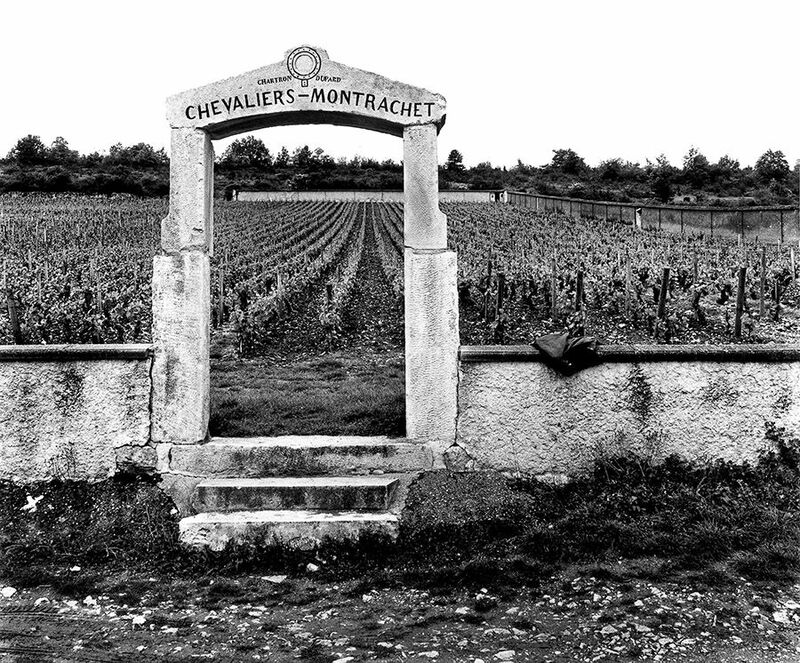 In Burgundy those sites have been tried for over 1000 years. Ever since the monks from the two main Abbeys at Cluny started growing grapes and making wine. They recorded it all. The knowledge was there, they all knew where the good sites were. After the French Revolution when all the land was confiscated and redistributed amongst the peasants, even then they knew where all the good sites were and they are still the same ones today. The Penfold’s white wine program is amazing, has been for a long time. I’m a big fan of Adelaide Hills wine. I remember quite bit of discussion on local MW Kym Milne’s panel over one Chardonnay wine in the Adelaide Show in 2012 when I was Deputy Chair. It had a bit of sulphur and gunmetal flintiness, but wonderful fruit, texture and length. Kym and I agreed that it was outstanding rather than faulty, and it ended up with a gold medal, but it could easily have missed out altogether. It went on to get the Trophy for the best Chardonnay, and then for the best white wine of the show. It was the Bin 10A. There is also some very good cool climate fruit coming out of Tasmania, Tumbarumba and Drumborg, not to mention Margaret River and other parts of South-West WA. In 1989 you passed the examination and became New Zealand’s first member of the prestigious Institute of Masters of Wine, London. There’s a bit of a story to that. 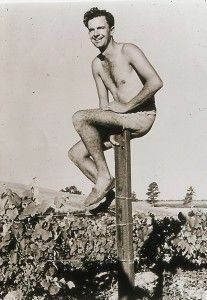 At Roseworthy you heard about the legendary Masters of Wine: Those people who could tell you everything about a wine. A few years later I was involved in show judging in New Zealand. In 1986 our guest overseas judge was Sarah Morphew MW. In 1971 Sarah was the first lady Master of Wine. During that wine show she took me aside and said to me “you’ve got a very good palate, I think you have the ability have a go at the MW”. I didn’t really want to have a go, and at that stage you had to go to England to do it. Sarah was the Chair of the MW committee then, and she mentioned that they were thinking of internationalising the exam and allowing non-British candidates. Michael Hill-Smith had just started in the UK program in London, and subsequently became the first Aussie, in fact the first International candidate, to pass the exam in 1988. Michael was chair of judges at Adelaide 2001-2003. I got a phone call from Sarah saying, “Michael Hill-Smith’s just passed it, isn’t that great, now you’re going to have a go”. She kind of bullied me into it. I put together an essay, submitted it, and it got accepted. Bob Campbell and I got together a tasting group with Sam Weaver, another NZ winemaker who’d already passed the tasting part of the same exam, while he worked for Remington Norman MW in London. So he set up tastings for us where we were asked MW–style questions. 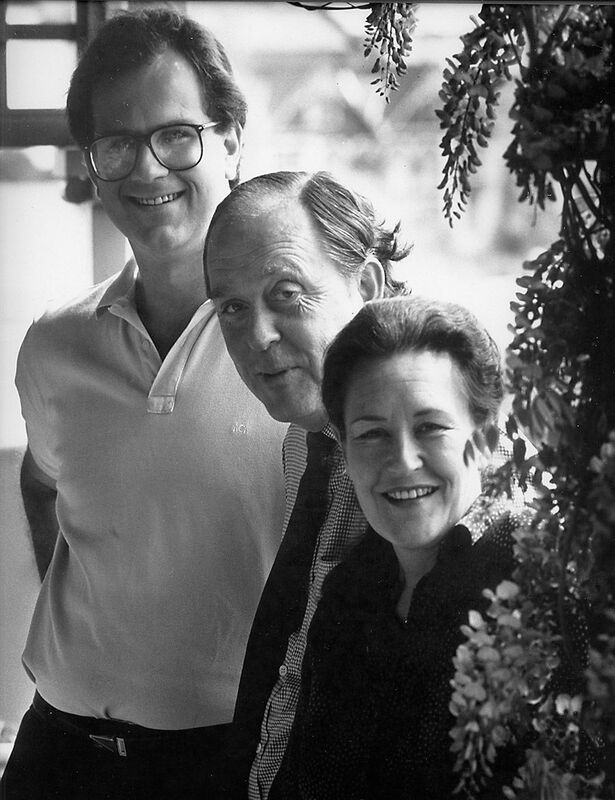 Michael with Kit Stevens and Sarah Morphew, in the spring of 1989, at Kit’s rambling old villa in Parnell, Auckland. Photo : supplied. Kit Stevens MW joined us at a couple of those tastings. About that time I had started touring around the wine regions of France with Kit. There were times when Kit needed a little bit of looking after, but he knew everybody in the wine trade and showed me some amazing things. I learn a lot from those trips. I went to London in May 1989, with a view to doing the MW exam and finding out how difficult it was, so I could plan my future studies. Surprisingly I passed, so I had no excuse to go back to England except to get the piece of paper. Becoming a MW really changed a lot of things for me. We had started to do some unusual things with wine, like wild yeast ferments, malolactic and barrel fermentation. Kind of ‘out there’ stuff down-under at the time. My MW qualification helped add a degree of legitimacy to these. The first Kumeu River Chardonnay we entered in a show was in 1985. The judges thought it was weird, and they all thought it was oxidised. It wasn’t: it was buttery and a bit different. We thought it was a bit like Burgundy, kind of a wet dog character. It got kicked out, no award for our early wines. In later years that wine style went on to do very well for us indeed. 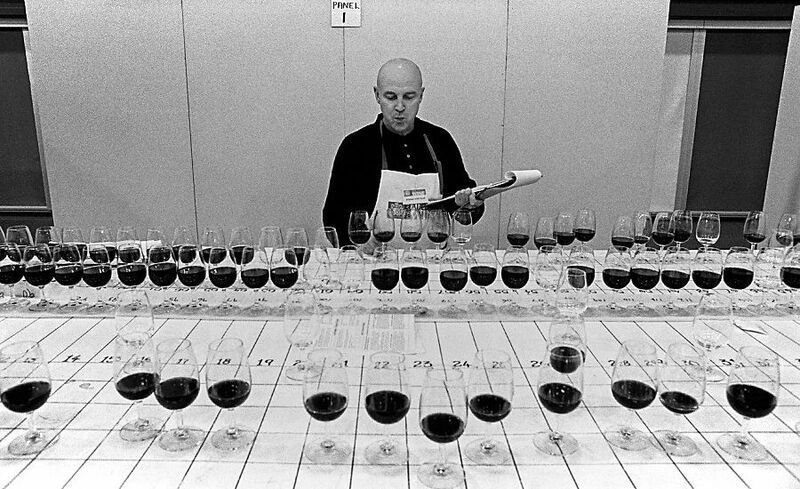 What do you think being an MW brings to the judging table ? It’s given me a much greater appreciation of a much wider range of wines styles. I think this is very important when you approach the judging table, because you can be particularly Australian / New Zealand in your outlook. If something shows up that’s a little weird, it often doesn’t get recognised. At my first Adelaide Show in 2000 I remember a wine in the Shiraz lineup that had a ‘Côte Rôtie’ look and taste about it. It tasted like a cooler climate wine. I argued for it and it ended up going on to be the top Gold medal in the class. When we judged that class it didn’t jump out in the lineup. It wasn’t the standard Barossa Shiraz style which we were all familiar with. I think it was the MW experience that helped there. That’s the thing I hope I bring to the judging panel, the experience of other wine styles that have not become the norm. Notice any style change at this years judging ? Wine styles, and fashions, are constantly changing. When I first started judging, oak was a very important if not essential element of all the top red wines. These days judges are much less tolerant of its dominance, and even actively penalise oak when it seems too intrusive. There is a balance to be struck here: young wines are allowed to show obvious oak, so long as the balance is right. The Gramp, Hardy, Hill Smith Prize for Outstanding Wine of Provenance award went to Rosemount Balmoral Shiraz 2012, 2004, 2002. Any comments on this award ? The “Provenance Prize” is one of my favorites. This year it was judged by Andrew Caillard MW, Ian McKenzie and our International Judge Matthew Jukes. They were all positively fizzing with excitement after their deliberations because this is truly an outstanding group of wines to judge. Each wine has three vintages entered: 1.The current vintage, 2. One between 5 and 9 years older, and 3. One 10 years or more older. 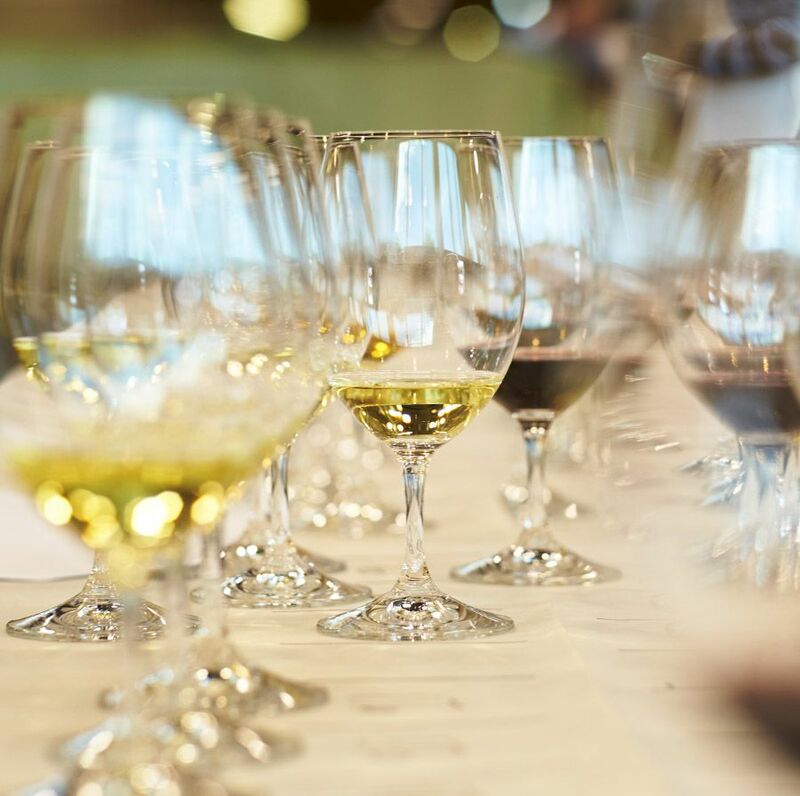 It gives the judges an opportunity to judge the consistency of quality, and either terroir or winemaking style, over a period of at least a decade. As Chair of Judges I came in after they had sorted out their best 7 entries, then narrowed down to the best 5 finalists. That 5 included one white wine: the Florita Riesling from Jim Barry, but the race for the top was decided among the reds. The winner was the Balmoral Shiraz, and was quite significant because this was the first example of a red wine winning where all three vintage had been sealed with a screwcap. Both the 2004 and 2002 wines showed fabulous bottle maturation characteristics that had been built on beautiful fruit, and the 2012 has all that in front of it. I had the privilege of judging the Provenance prize in 2011 with Brian Croser and Huon Hooke when I was called in from panel duties after Andrew Caillard was unable to make the judging. It’s the first time they have had a non-Australian as the Chair of Judges in Adelaide. I think for the committee it was a brave move, but I am delighted and very honoured to have been asked. With my long association with South Australia since being educated here, it’s great just to be invited back to help out.